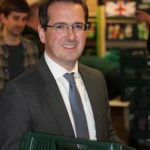 Owen Smith provoked a string of criticisms for his assertion of “I’m normal”, largely due to it resting on his later assertion of “I’ve got a wife and three children.” This has been viewed as an implicitly homophobic criticism of Angela Eagle’s candidacy, and compared to Andrea Leadsom’s gaffe about Theresa May not being a mother. But the comments revealed a lot more about Smith’s campaign and the cultural identity crisis within British social democracy. 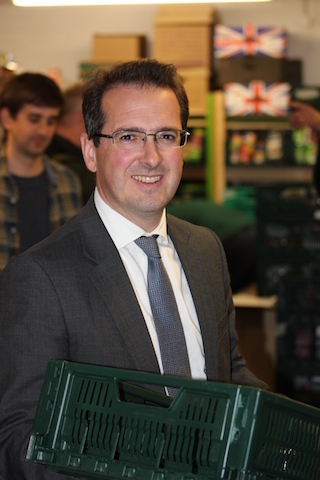 For Smith, his standing as a family man was about community rootedness, and, in line with his labour market experience outside politics, meant “I can bring that normality, that sense of what our communities want” to the Labour leadership. This barrier drawing extends beyond sexual preference. It is part of a wider discussion about who can and can’t represent Labour: who is culturally “normal” and who isn’t. This has important ramifications of the fissures engulfing social democracy in the post-Brexit climate. In his campaign launch speech Smith also asserted he was both a British and Welsh patriot. After the EU referendum it has become common place to discuss the regional disconnect afflicting the UK, with traditionally Labour voting areas in the North of England and Wales having overwhelmingly backed Brexit. The referendum result has exacerbated the theme of a developing fissure in Labour’s traditional coalition of urban, liberal-minded and professional voters and former industrial working class communities. To some extent Smith’s annunciations conform to a ‘blue Labour’ conception of winning back traditional Labour constituencies through appeals to social conservativism and cultural and lifestyle values. This is the mirror opposite of traditional Labour strategies. Whilst Harold Wilson and other moderate Labour leaders had their reforming instincts tempered by economic and political pressures, it was nonetheless Labour governments that legalised homosexuality, banned the death penalty and implemented major gender and racial equalities legislation. The gambit was that promises to improve living standards and workplace empowerment would provide a sufficient attraction to workers with far more reactionary views on ‘social issues’ than generally prevail today. The dissipation of the possibility of a meaningful redistribution of wealth or power within social democratic politics has been at the centre of the fissure between metropolitan and post-industrial Britain. Divisions between London, which overwhelmingly voted ‘Remain’, and the other Labour ‘heartlands’, which most strongly opted to ‘take back control’ demonstrated this during the EU referendum. Migration has long been an issue that divides Labour’s broad church, but has reached a new totemic status. It is reloaded with cultural impetus as well as acting as an explanation for prevailing low wages and abusive employment practices. In the extremity of this case MPs like John Mann, member for Bassetlaw, embraced Brexit and harsher migration policies in the name of representing the views of traditional Labour voters. The EU referendum only proved Labour, like its social democratic sister parties across Europe and the Democrats in America, will be the victims of a politics defined by the culture wars in place of arguments over possible economic futures. The discussion on breaking this impasse and remoulding the social base and electoral coalition will be a key part of strategic arguments over Labour’s future. This will include the mobilisation of differing visions of the social forces and conflicts upon which the party should pivot but also have to be integrated with a meaningful economic critique and policy prescription if further electoral decline is to be averted. It has to involve recognition of the reality of adverse labour and housing market experiences remoulding the British social fabric. Appeals based on regional identities or what your grandfather did need to be recognised as at best limited, and missing the inherent radicalism of a politics centred on contesting power in the workplace and over property and resources. Industrial policy and the need for a vision of the role of the labour movement outside parliament will have to be at the forefront of a future Labour manifesto. Owen Smith and shadow chancellor John McDonnell have proposed £200 billion and £500 billion infrastructure funding plans, whilst Smith has also suggested the rebirth of Wage Councils to introduce collective oversight and dialogue over wages and conditions in poorly paid sectors. But the key factors that could make these structures effective, worker mobilisation, and state action to coerce or incentivise capital to cooperate, are not being discussed. At the moment the ‘new deal’ bears more likeness to a technocratic proposal, placing England and Wales’ disenfranchised as receivers of cultural and material esteem, than an attempt to remould society through combining managerial and democratic impulses. The defeat of Scottish Labour – post rational politics or shifting plates? I’m not looking for someone Normal I’m looking for someone extraordinary – someone who can engage with people old or young, someone who can can and has grown the Labour Party membership beyond recognition, someone who is principled and who’s politics is honest and transparent. Mmmmmmmm now who could that be? I know how about Jeremy Corbyn. After Kendall’s ‘aspiration’, Smith’s ‘normality’. What will they think of next? I am single, hetro, without kids and consider myself “normal” but I guess I don’t quite fit the profile of what “normal” means in Owen Smith’s world. Just how many voters are the right wingers trying to alienate? If they keep this up there will hardly anybody left to vote for them. I want to see someone in charge of the country who has proven his integrity not elitist self serving liars and cheaters. So would the real Labour Party please step forward, previous pretenders need not apply. ‘A former BBC journalist, he was a special adviser to former Welsh Secretary Paul Murphy and is now a political lobbyist for American pharmaceutical giant Pfizer. About as New Labour as you can get. Would he describe himself as a socialist? And Mr Blair, is he a socialist? Any other areas of difference with Mr Blair? When Smith says he is normal he means boring. And believe me he is far from bold. He reminds me of Hollande – bland and timid. I want the pharmaceutical industry to be taken into democratic public ownership so drugs would be cheap and some free, research would be done to address ‘unprofitable’ conditions, it would save the NHS billions, and we could also provide cheap or free drugs to people with severe conditions so the market does not rob some working class/working people of a few extra years of life. I think JC may be open to this but with Smith as a former Big Pharma insider I doubt there would be chance. But the coalition around JC needs to listen to all of its voices (both the left wing democratic socialist working class and the progressive middle class) and quite a few of us straddle 2 classes being the first in our working class families to go to university. But one thing we all share in life is that we have to sell our labour to live (although of course some of us have more autonomy at work and are better paid although we are under attack too by austerity). I have a lovely position now but for much of my early working life I was doing mundane jobs and I felt like a trapped bird which is why we should be exploring shorter working weeks, variety in work (for those who wish it), a say at work (for those who want it) and harnessing new technology to free working humanity; so we have more time to enjoy life and our beautiful planet. We should stand for what we believe in and not be a bit racist, a bit sexist, a bit homophobic, disablist, a bit Islamophobic etc. because some people are; we are a political party and not passive observers! We should be politicising the diverse working class/working people and buiding unity in our wonderfuly diverse population (and internationally) and the stronger we will all then be. JC also offers members the chance to put YOUR ideas and dreams into practice! With Smith it would be back to our Labour Masters (MPs) being top down and in control again and Labour members being seen but seldom heard! I’m with JC and the visionaries. Oh by the way a lovely human being – an Asian Muslim male friend of mine told me to tell you that he joined Labour because of Jeremy Corbyn’s humanity. He also said JC has brought in millions of pounds to the Labour Party. 120,00 recently joined and if this was at the full rate that’s £5.7m for Labour. Just read 180,000 have registered as supporters at £25 each so a further £4.5m so JC has brought in £10m and Owen Smith about 10p! Ha! Ha! What’s the name of the pharmaceutical company that bunged progress £53,000. Any of the candidates know of it? Oh dear, Owen Smith has now been exposed for some pretty nasty bulling and groundless threats of legal action against a journalist – I wonder if Iain McNichol will now suspend him from the Party?